Stacy R. Morey graduated with distinction from the University of Oklahoma before attending the University of Oklahoma Law School. While pursuing her Juris Doctorate degree, she clerked for Oklahoma Supreme Court Justice Alma Wilson and interned for the Oklahoma County District Attorney’s Office. Ms. Morey also had the privilege of studying law with Queen’s College at Oxford University in the United Kingdom. 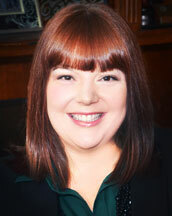 During her law school career, Ms. Morey was awarded the Academic Achievement Award (American Jurisprudence Award) for her accomplishments in Trial Techniques and was inducted into the honor legal fraternity, Phi Delta Phi. In 1996, Ms. Morey was named the City Prosecutor for Enid, Oklahoma where she spearheaded the C.O.R.P.S. (Children On the Right Paths) program. C.O.R.P.S. became Enid’s new and innovative strategy for providing creative sentencing opportunities to municipal juvenile offenders. While there, Ms. Morey also served as legal counsel and advisor to the Enid police department. After the successful implementation of the C.O.R.P.S. project, Ms. Morey joined the Oklahoma County District Attorney’s office as one of only two gang unit prosecutors. During her tenure at the D.A.’s office, Ms. Morey served as a specialized litigator responsible for the prosecution of serious felony offenses, including homicides, narcotics crimes, and gun related offenses. She represented the State of Oklahoma in all stages of criminal proceedings including the filing of charges, preliminary hearings, trials, appeals, post-convictions, and parole hearings. In 1999, Ms. Morey was honored with a nomination for Oklahoma Gang Prosecutor of the Year. In 2000, Ms. Morey joined the Oklahoma State Bureau of Investigation (OSBI) as their Associate General Counsel. By 2005, she had been named their Chief Legal Counsel. While employed at the OSBI, Ms. Morey represented the agency in a variety of civil litigation including expungements, forfeitures, contract issues, employment cases, debt collections and also served as the legal and policy advisor on human resources and employment issues. She was responsible for drafting proposed legislation and represented the agency at legislative committee hearings. Additionally, Ms. Morey served as counsel for the OSBI Commission and the OASIS and OKLEX Governing Boards and operated as the liaison to the Oklahoma Ethics Commission. During her tenure with the OSBI, Ms. Morey received numerous awards and recognitions, including the following: 2003 Non-Commissioned Employee of the Year; 2004 Distinguished Service Award; and 2005 Tribute to Excellence Award. 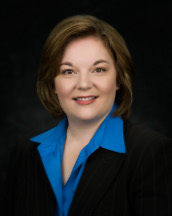 Ms. Morey is a respected and published author through numerous articles on a variety of legal matters, including Expunging Criminal Records under Oklahoma Statutes, published March 2003 in the Oklahoma Bar Journal, and as editor and writer for “The Legal Eagle” publication. Department of Justice – Project Safe Neighborhoods. Previous topics of instruction include state firearms laws and preparation of cases for prosecution. OSBI Agents’ Academy. Previous topics of instruction include capital punishment, wiretaps and electronic surveillance, discovery, forfeitures, courtroom testimony, and multi-county grand juries. OSBI Leadership Academy & Citizens’ Academies. Previous topics of instruction include positive leadership and organizational history. Oklahoma Bar Association, as well as other legal and professional organizations, on the subject of expungements. Ms. Morey is a recognized expert on the subject of expungements (sealing of arrest records and court information) and has handled more than 2,500 expungement cases. Ms. Morey is a member of the Oklahoma Bar Association and is licensed to practice before the Western and Eastern Districts of Oklahoma.